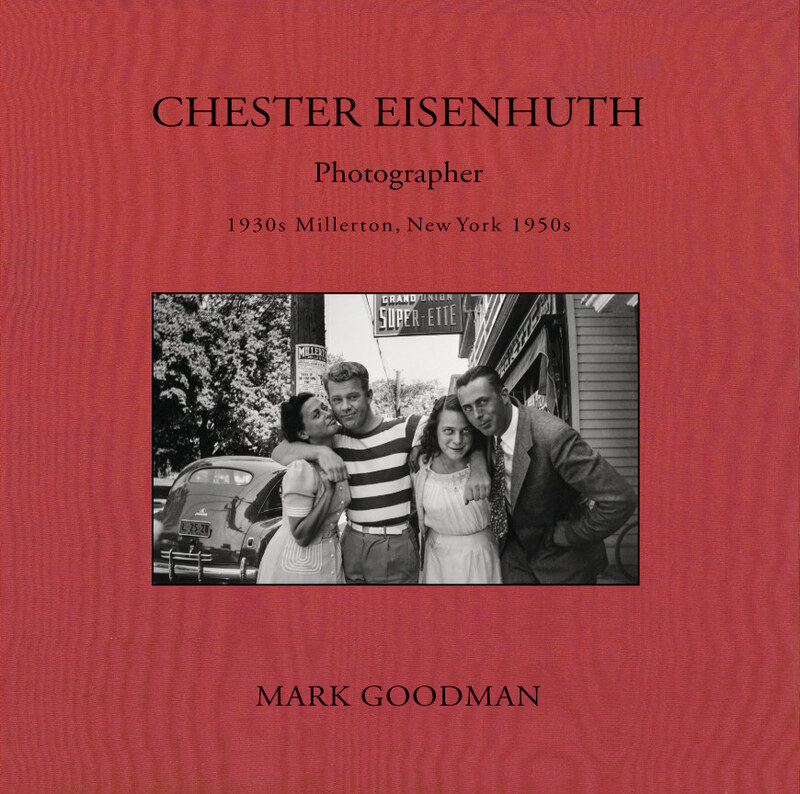 Chester Eisenhuth, 1910-1995, was the local historian of Millerton, New York for more than four decades, as well as an amateur painter and photographer. This book presents fifty-one full-page reproductions of his photographs, primarily portraits taken for pleasure and sometimes for profit, between the 1930s and 1950s, of family members, friends, fellow townspeople, a dog, and Mr. Eisenhuth’s cat, Rudy, on his twentieth birthday in 1943. The original negatives were rediscovered and printed in the 1970s by Mark Goodman. Mr. Eisenhuth’s photographs are in the permanent collection of the Museum of Modern Art, New York City, the Dorsky Museum, SUNY New Paltz, and the Amon Carter Museum of American Art, Fort Worth, Texas. Mark Goodman graduated from Boston University, in 1970, with a degree in Anthropology, and then studied photography with Minor White. A year later, he attended Apeiron Workshops in Photography and began a twenty-year documentary project taking pictures of a generation of children growing up in the nearby village of Millerton, New York. He received fellowships from the National Endowment for the Arts (1973) and the John Simon Guggenheim Memorial Foundation (1977); his photographs were featured in Aperture 19:4 (1975); exhibited in a one-person show at the George Eastman House, in Rochester, New York (1980-1981) ; and A Kind of History: Millerton, New York 1971-1991 was selected by Vince Aletti in the Village Voice as one of the Top Ten Best Photography Books of 2000. Since 2005, he has published limited edition books and portfolios of photographs and personal essays.